← Isabel Marant Tees Up At H&M. It was a last minute decision to take part. 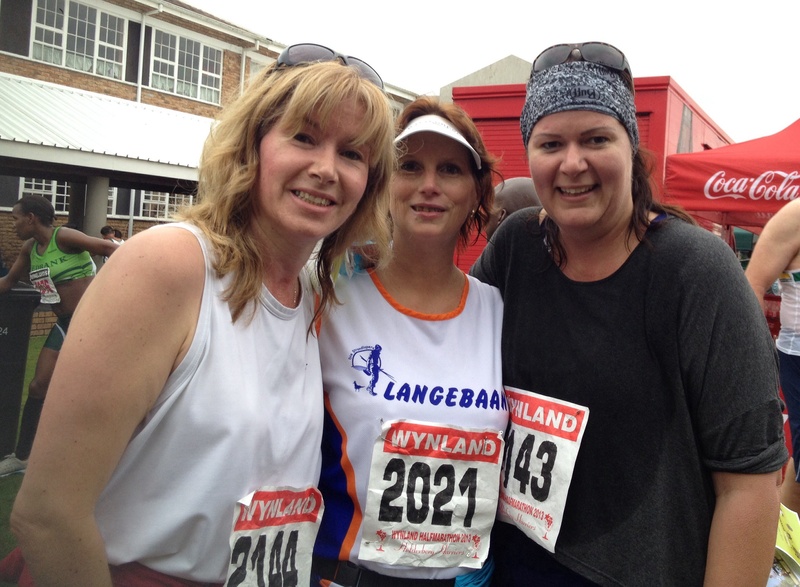 It would be the 36th Winelands Marathon and the 16th Half Marathon. It would be a difficult and hilly route, undulating through the vineyards and strawberry farms of Stellenbosch, in the Western Cape of South Africa. One international phone call later my plane ticket and place were booked for the race. 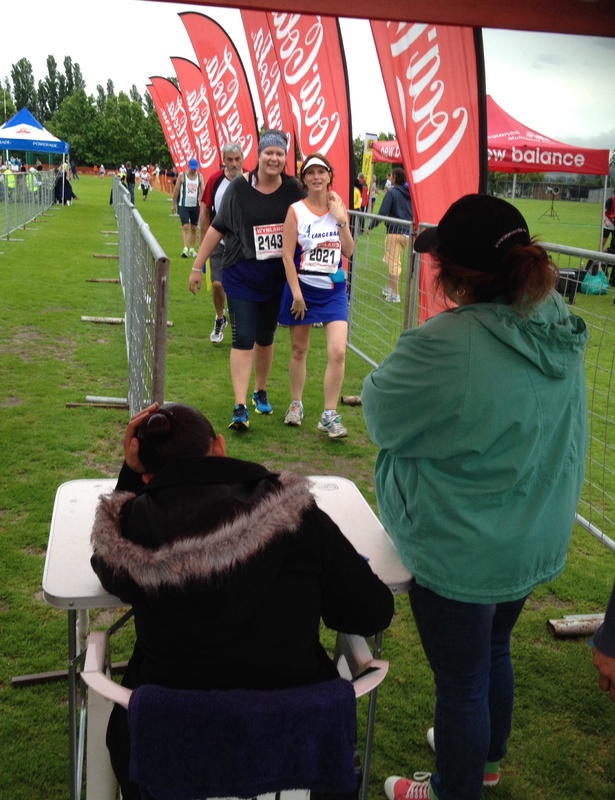 I am a keen walker but had not done any running in my London lifestyle in the past few years. It sounded like fun. 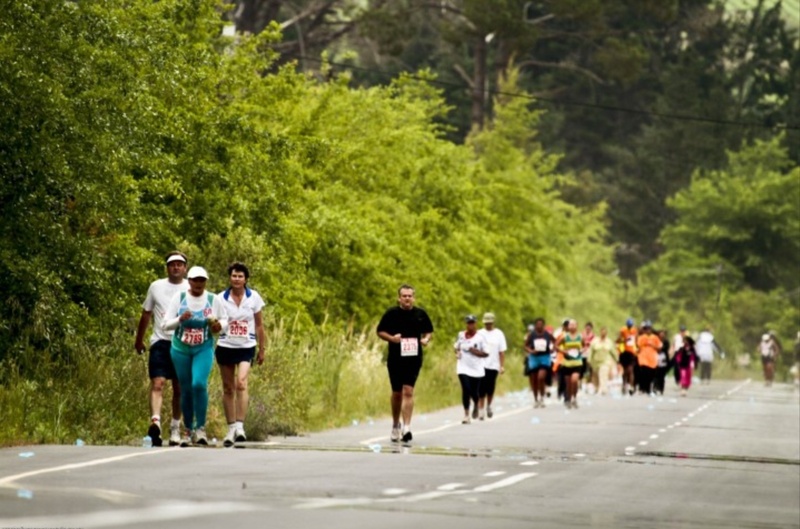 The race serves as official qualifier for the 2014 Comrades and Two Oceans marathons. The cut off time for the marathon is 5h30 and 3h30 for the half marathon. There would be medals for all finishers. 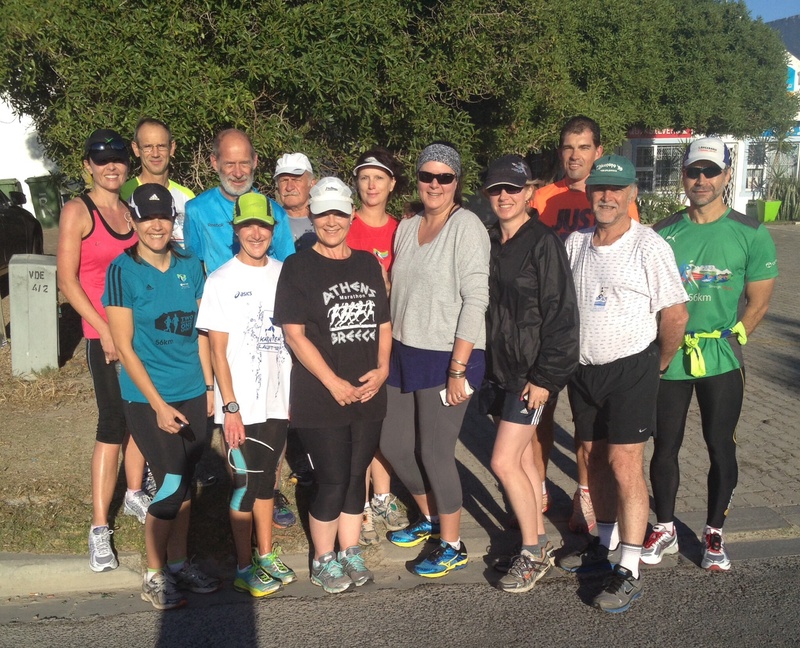 The Langebaan West Coast team consisting of myself, my sister and her running partner Shoneen. The route started in rain near my old Alma Mater, Bloemhof Girls’ High and crossed the Eerste river taking us down towards the Strand and Somerset West. So far so good. Then we hit the gravel stretch. The road turned up towards the mountain, with the next 7 km a corrugated, muddy gravel road. From here it was almost all down hill. I finished in a respectable well under 3 hour time, just ahead of my team mates, which enabled me to grab a West Coast Team photo finish. 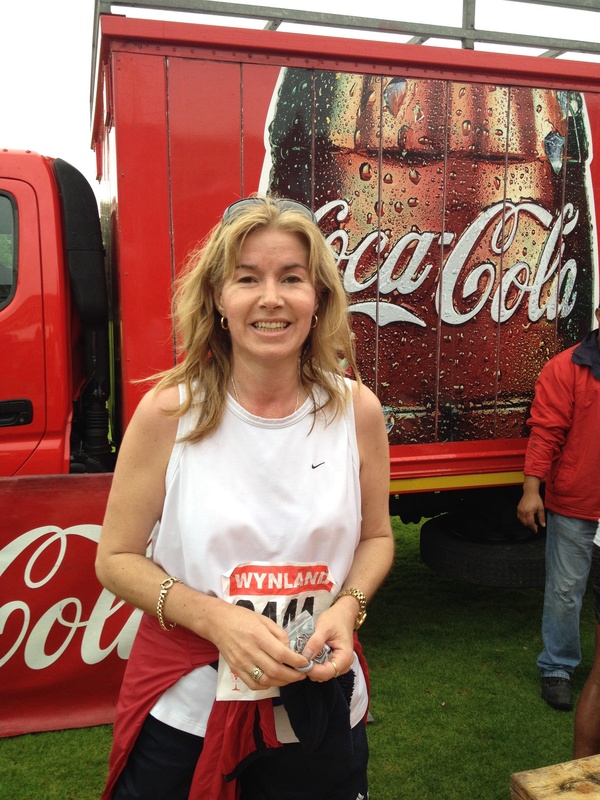 This entry was posted in celebrity, cosmopolitan, Culture, fun, lifestyle, london, new, new season, Publications, Sport, Uncategorized, work, worklondonstyle and tagged Cape Town, Comrades marathon, cosmopolitan, fun, Langebaan runners club, lifestyle, london, Running, South Africa, Stellenbosch, Two Oceans Marathon, Weskus marathon, West Coast, Winelands Marathon, worklondonstyle. Bookmark the permalink. Thank you Jean. The strength of the many years of using great Herbalife nutrition really did show. Choc Mint Flavour worked its magic for sustained energy and stamina. Think you should join us next time. We need a bigger West Coast Team and under 2h30 time.